I’m the parent of a child with autism, and I’m aware that autism, like most permanent medical conditions, is life-changing. So far, hearing the words “your son has autism” was the single worst moment of my life (and there have been some bad ones). When we received our diagnosis, I didn’t know where to turn, what to do or what to think. My only reference point was Rain Man. It was a very hopeless time in my life. 1. I know that my family has been fortunate. We’ve had resources. We’ve had support. We’ve had the ability to move some mountains (and ourselves) when needed. We’ve gotten results. 3. I know that laughter can get us through anything. If I couldn’t laugh at our crazy uniqueness, I’d probably cry. For as little as he says, our Bear is one of the funniest people I’ve ever met. Life with him has given us a reservoir of material for stories at parties. He also has the sweetest, most contagious laugh in the world. The humor that he finds in us is just as precious. 4. I know that I’m a better person because of autism. I’ve learned humbling lessons on our journey. It doesn’t matter who you are, your race, what you do, where you live, where (or if) you go to church, whether you’re rich or poor — autism does not care. I admit that I sometimes judged people in my former life, especially people with out-of-control children. Oh, you better believe I sized them up immediately. Shame, shame, shame on me. Karma, baby! I’m raising my children to be aware and to never let someone who’s different get picked on. They know to stand up for those who need it, because they’d want the same for their brother. My mantra is that we live in the biggest glass house on the block, so don’t ever throw stones. 5. I know that I’ve grown thicker skin. I don’t let other people’s opinions affect me, like I once did. I have more patience. I have more tolerance, and not just for the special needs community — for people of every class, religion, ethnicity and sexual orientation. Kumbaya, my friends. 6. I know that slow and steady wins the race. Even with baby steps, we’ve come a long way. Barrett’s a work in progress, but that’s OK — we’re still making progress. We have good days and bad days, but the good far outweigh the bad. 7. I know that time heals all wounds. Ten years ago, I was frozen. I was overcome with fear. I felt like our lives were over. There were no little voices in the house. There was no laughter. There were no adventures. There was no hope — whatsoever! Present day, we’ve got a loud, rambunctious, chaotic house that’s full of voices, laughter, joy and hope, and I wouldn’t want it any other way. 8. I know about the power of miracles. We experience little miracles every day. A prolonged period of eye contact. Appropriate laughter at a joke. A hug that is truly reciprocated. An unprompted request that’s verbalized. A full night’s sleep. Spontaneous declarations. A non-echolalic expression of love. Directions followed — the first time. A clean trip to the bathroom. A new food tasted. It really is the little things that mean so much. Nothing goes uncelebrated. 9. I know that a little education and communication can change people’s views. Some people are clueless, and I don’t mean this in an ugly way. Some people just don’t get it, and couldn’t possibly without wearing the T-shirt. I try hard to give people the benefit of the doubt, which is sometimes hard when they shake their heads disapprovingly. If they don’t understand, then it’s an opportunity to educate them (not preach to them). Seriously, you’d be amazed by how the simple statement, “My son has autism,” can defuse an awkward situation (e.g. when your child has smelled a stranger’s hair). Most people are very understanding and eager to learn. If they’re not, you can’t take it personally. It’s them, not you. I laugh when I think of how they’re going to tell the story. 10. I know that there are angels among us. I honestly don’t know where we’d be today without the skills, kindness and patience of the teachers, paraprofessionals, therapists and respite providers who’ve worked with our family. Angels, pure and simple. 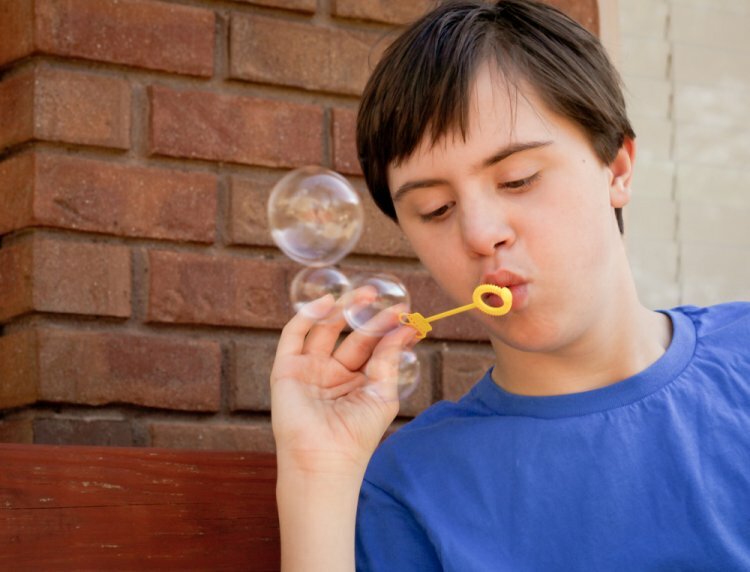 There’s a special place in heaven for those who work with and care for the special needs community. 11. I know that I’m part of a special sorority. The hazing was hell, but I’m proud to be part of an extraordinarily brave group of women. We go by many labels: warrior moms, autism advocates, Special Olympics cheerleaders, members of the A team, pieces of the puzzle, wearers of the same T-shirt, latchkey moms… we are everywhere. It’s funny, no matter where I go, I meet a sister. I’ve had chance encounters in hotel pools, parks, public restrooms, waiting rooms, elevators and restaurants. Immediately, you go deep with the sharing. There’s no such thing as TMI. 12. I know what it means to be truly grateful, because I am. I’m so grateful for all my children, and Bear is a special piece of my puzzle. He is the yin to my yang. We balance each other. When he is happy or has reached a milestone, I feel it deep down in my soul. I know, so corny, but it’s so true. He grounds me. When I’m having a tough day, I think about how tough each day is for him. There are no pity parties in our house. I also know that he’s one of the lucky ones. I know it and I am humbly grateful. 13. I know that love can conquer all. Barrett has a family who’s devoted to him and we’re bonded in a unique way — forever. We are Team Smithie, and we have each other’s backs. Barrett will always be OK, as long as he has his family. Sadly, there’s a high divorce rate in the autism community. I thank God I chose the right partner (or he chose me?) and our marriage is stronger because of all we’ve been through. 14. I know that faith can be tenuous on this journey, but without it, I’ve got nothing. 15. I know that kindness and acceptance are all around us. In the beginning, I shied away from people and gatherings. I didn’t want to inflict our circumstances on others. I literally went into hiding. I really underestimated family, friends and strangers; I know this because I’ve been overwhelmed by the support we’ve received over the years. There are so many good people who have embraced our family and treated us in a manner that has made me feel like we belong — anywhere. No awkwardness and no explanations needed. They accept our boy the way he is, and they’re raising the next generation to do the same. They are changing the world.